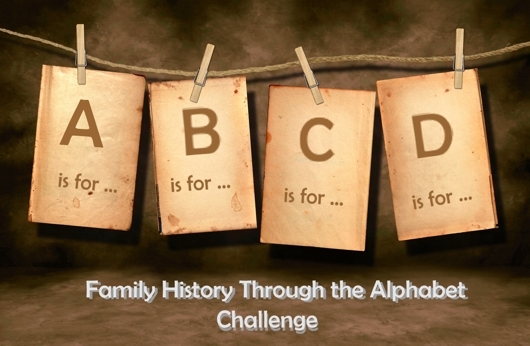 Continuing the Family History Through the Alphabet challenge…L is for Libraries! I have long been a lover of libraries. When I was a little girl, I loved to visit the library for a stack of new books to read (I still love it as a big girl, too). Since I went to high school and college in the stone age before Wikipedia, Google, and computers, I relied on the library to research my term papers (and I relied on typewriters to write them, but that’s another story…). I was downright giddy on a visit to The British Library, and the Library of Congress was also impressive. The worst thing about the big, beautiful libraries in other countries is that I can’t read all the books because I’m not fluent in foreign languages, but I can still admire the beauty of the collections. But aside from my love of books in general, where would my family history research be if it weren’t for libraries? Long ago before a multitude of information was available on the internet, the library was the sole source for any serious research. My first visit to the Family History Library in April, 2010. My family history research began shortly after I graduated college. My friend Marie and I were attending grad school and we started talking about family history. Specifically, we talked about our desire to know more about our respective family histories. We asked each other, “How do you get started with genealogy, anyway?” By that point in our academic lives we knew there was one place to find the answer – the library! We visited the college library together and left with a stack of genealogy how-to books (Angus Baxter’s In Search of Your European Roots is still in print!). Thus began my 20+ year journey among records, archives, microfilm, and – eventually – computers. Libraries have always been my favorite source of books to read, but they can also be a great resource for books and other media related to genealogical research. Even though many records are now available online, the Free Library of Philadelphia remains the only place where I can see the city’s newspapers after 1920 and city directories from certain years. Then, of course, there is the Ultimate Library for genealogical research, the Family History Library in Salt Lake City, Utah. It is truly a mecca for genealogists no matter your family’s country of origin. If you’re a genealogist and you haven’t been there yet, put it on your “bucket list” – you won’t be disappointed! If there is one library whose mere name fires up one’s imagination, it is The Library of Alexandria, also known as The Great Library. Founded around 300 BC, supposedly by Demetrius, a student of Aristotle, the library aimed to hold copies of all of the manuscripts in the known world. It may have come close to that goal since it is reported to have had nearly 750,000 scrolls in its collection. Their acquisition methods were suspect, but successful. The great mystery surrounding the Library is that scholars are not sure how or when it was destroyed. It was most likely a series of fires and plunderings over the years, including rampages by the likes of Julius Caesar and invading Muslim armies. Its legacy was not its lost collection, but the very idea of a house of knowledge where anyone can come to learn new things. I’ve been to many libraries, but the one that was the coolest is the British Library in London. It wasn’t so much their vast collection, but the works they have on display in their museum. There I was able to stand in front of many marvelous works including illuminated manuscripts, a Gutenberg Bible, a First Folio, and – my personal favorite – Leonardo da Vinci’s workbook. Simply amazing! Visitors to their website can turn some of these famous pages online. Did you know that Benjamin Franklin started the first library in the United States? Well, he may have, but it depends on who you talk to. Since I’m from Philadelphia, we say that our own Ben Franklin (after moving here from Boston) began the first public lending library in 1731. Called The Library Company of Philadelphia, members paid money to belong with the rationale that combined and shared resources could produce a far greater collection than any one man of moderate means. In a time when few people could afford their own collection of books, Franklin and company came up with a brilliant idea. Franklin’s library is still in existence today as a research library, and his idea inspired free public libraries all over. When I was a child, my local branch of the system of Philadelphia Free Libraries was hardly older than me. It was built in 1969 in the up-and-coming Northeast section of the city. I probably found it a few years later when I began to read at age 5. This particular branch was small, but it was close to my house. I haven’t researched this, but it may well be one of the only public buildings in the US that is named after a Roman Catholic saint. Shortly after opening, the library was named the Katherine Drexel Branch in honor of the famous local heiress (1858-1955). I mean really local – our neighborhood is ground that once belonged to the Drexel family. Katherine gave up her life of comfort to found a religious order of sisters that cared primarily for African Americans and Native Americans in the poorest parts of the US. Mother Katherine was canonized a saint in 2000. I think she’d be as proud about having a public library named after her as she would be about any other buildings! The Free Library of Philadelphia, to which my first library belonged, is “headquartered” in downtown Philadelphia at 19th and Vine Streets. Throughout high school and college, if you really needed to do some serious research for term papers, this was the place to go! Outside of Washington, DC, you don’t usually see buildings built quite like this one. Shouldn’t all libraries be this huge and imposing? This particular site of the library was built in 1926, but the Free Library of Philadelphia was officially established at other quarters in 1891.
Who wouldn’t want to visit the Cemetery of Forgotten Books, an old library of precious but forgotten titles. Only a select few know about this library and can read these “lost” books. If you love books, you’ll want to read The Shadow of the Wind, a 2001 novel by Spanish author Carlos Ruiz Zafon. There may be many genealogical libraries, but The One that has an impact on every genealogist is the Family History Library in Salt Lake City, Utah. I’ve never been there in person, but without their holdings and the ability to borrow the films at local family history centers, my genealogical research would have never taken off. Thank you! 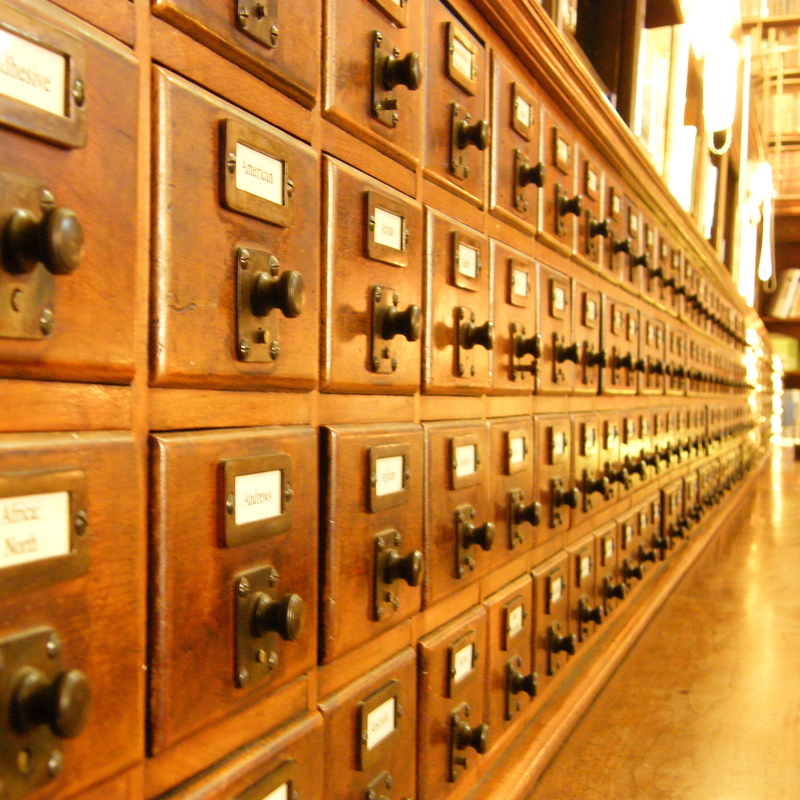 If you like books, chances are you’ve been to a few libraries in your lifetime as well. Which libraries are your favorites? Be sure to go hug a librarian this week for National Library Week!